NEW YORK (November 13, 2015) — Last night, more than 650 post-9/11 veterans, families and civilian supporters of Iraq and Afghanistan Veterans of America (IAVA) joined emcee Willie Geist, special guest Stephen Colbert and distinguished guests Army veteran Daniel Rodriguez, Polaris CEO Scott Wine and VA Secretary Bob McDonald to celebrate the more than 2.8 million veterans that served in Iraq and Afghanistan. “Last night was truly a magical evening for IAVA and our entire community,” said IAVA Founder and CEO Paul Rieckhoff. “This was our chance to share and celebrate the amazing achievements our 425,000-member community has made in the last year. IAVA members led the charge on significant victories for the veteran community in 2015 to include: passing the Clay Hunt Suicide Prevention for American Veterans Act; influencing Mayor de Blasio to reverse his opposition to historic legislation establishing a Department of Veterans’ Services in New York City; holding a record 145 VetTogethers during Veterans Week; and continuing to hold presidential candidates accountable to veterans and their families. The actions of our community this year are the epitome of #VetsRising. With the support of sponsors, guests and the community, the Heroes Gala raised the critical funds needed to help improve the lives of veterans and their families. 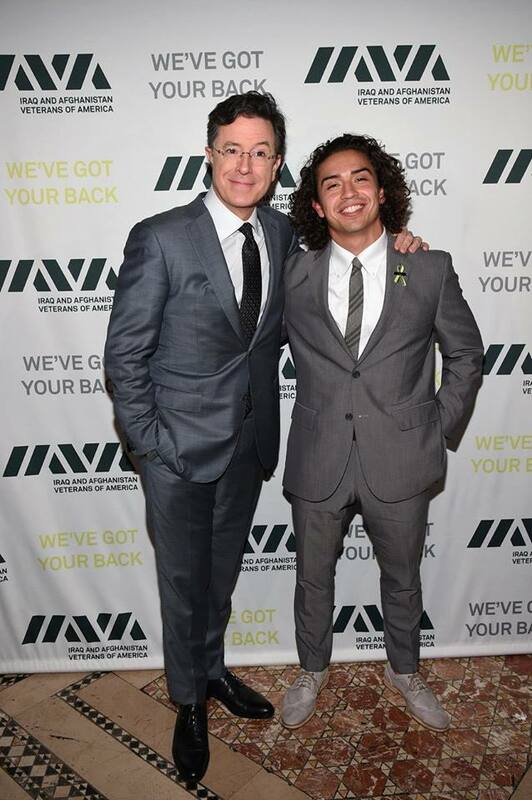 Since our founding in 2004, IAVA has connected, united and empowered more than 1.2 million veterans and their families through essential services and programs. IAVA will continue to fight for our generation of veterans and ensure our voices are heard in Washington, in city government and local communities,” Rieckhoff concluded. The IAVA 9th Annual Heroes Gala was made possible by Hero Sponsor Craig Newmark and Craigconnects, and sponsors Victory Motorcycles, Discovery Networks, American Heroes Channel, Legg Mason Global Asset Management, WME, NBA Cares, USAA, DAV, HBO, Morgan Stanley, TriWest Healthcare Alliance, Bill Tovell, CNN, Fried Frank, PBC USA Investments Inc., Barbaricum, Vencore, Halfaker and Associates, Retail Ready Career Center, Inc., Michael Leven, Western Asset Management Company, Hero-Clean, The District Communications Group, Salesforce, American Federation of Government Employees (AFGE), Cushman & Wakefield, Jones Lang LaSalle, Patients Like Me, JP Morgan Chase, Military.com and MSNBC. To invest in our nation’s post-9/11 veterans, please consider donating here. And for the next 48 hours, your donations will be matched dollar-for-dollar up to $200,000 thanks to the generosity of the Schultz Family Foundation. View pictures and highlights from the evening here. Save the date for the 2016 IAVA Heroes Gala, scheduled for Nov. 10, 2016. For information about sponsoring next year’s Gala, contact Kristin Fehrenbach, Director of Individual Giving, at kristin@iava.org.